In one of my earlier years of teaching, I remember one of my team members turning around and telling me that I could do the work at home because I didn’t have a partner or children of my own. She on the other hand had 4 kids and a husband, so she wanted me to stop my current meeting and meet with her, because I didn’t have the same commitments and she needed to get home to her family. All the teachers who heard her were horrified at what she said. I was too, but as a young teacher I thought that maybe she had a point. After all, I didn’t really have anything else “important” to do at home. Whilst working with her, that comment always lurked at the back of my mind. It was easier to avoid confrontation and just do the work at home. Last year, I fell into the same habit again. At one stage, I was struggling just to go to work. I didn’t want to go in. I felt pressured at work and was unable to complete the work on time. 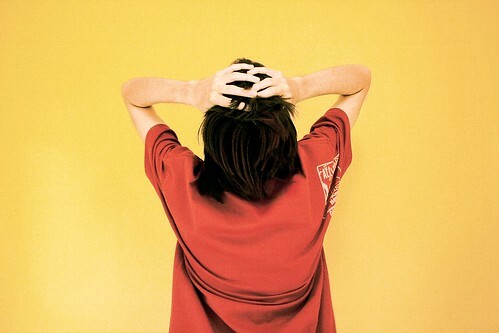 My teaching started to suffer- I would go into class tired and irritable. I felt like I was unable to distance myself and just focus on my students. However I’d usually find that after some time, being around the students made me feel relaxed. I would work with them and just enjoy being with them. The minute classes ended, I would lose that sense of being in the moment and slip back into the vicious stress cycle. This year I’ve promised myself that I can’t continue to have my life revolve solely around work. I need to focus on my health and to enjoy life outside school. I used to love going to dance classes- 4 hours of pure bliss, where I didn’t think about anything except what the next step was going to be. Losing concentration meant that I would find myself on the ground and probably pulling my dance partner down with me. In order to dance in heels, I had to shut my mind to everything else. It was tiring but I was happy. I need to get back to dance classes but I need to work on my health first. Going on fortnightly photography walks is a step in the right direction for me- I love taking photos. Meeting other photographers allows me to improve my own skills. I get to explore Melbourne city more regularly. I’ve wanted to take photos since I was young and going on these walks on a weeknight, will help me create a balance. I need to remember is that I need to have a balance- not just for my health but also because I need to take time to enjoy the things I like doing. It’s my promise to myself- one that I intend to focus on more often. #YourEduStory Week 5: How do you cope with the stress of being an educator? What do you do to avoid “teacher burnout”? Every once in a while, when I’m cleaning out my papers, I like to look through my Teacher’s memory journal- a place where I collect letters and cards given to me by students or staff with a special message. This journal is important to me because it helps me remember why I am a teacher. I’ve only been teaching for 6 years, but at times when I feel like I haven’t accomplished a lot, this journal tells me that I’m wrong. I find that reading through it helps me recall the good times I’ve had in the past 6 years and the students I’ve taught. Reading the journal again two weeks ago, made me think about the new school year and what I wanted to focus on. It is a good reminder of all that I have achieved so far and how much I have learnt in the past 5 years at my current school. I came so close to quitting teaching after my first year, but my experiences in the classroom since 2010 have firmly reinforced my decision to be a teacher- I couldn’t think of anything else I would enjoy doing. Keeping in mind my #oneword for 2016 “Create”, my first goal aims to create opportunities to get to know my students not only as learners, but also as individuals. This year I will have 2 new groups of students to get to know. The first will be the new Year 7 students, who I met briefly in 2015 during their Orientation day. The 2nd class will be my year 10 English class comprising of 50 students from across the 7 houses. I will only know 3 or 4 as they will be from my 2015 Year 9 class. In addition to the new classes, I also get to teach the Year 9 students in my house, who I have taught since Year 7. I like to get to know all my students – my aim is always to learn names within a week. Throughout the year, I try to get to know each individual student- what they like, their hobbies as well as how they learn. As a teacher, it is important to me to know that, as it allows me to tailor the work to suit their needs. I like to sit with groups of students during the lesson, not just to help them with the work but also because it gives me the chance to talk to them about what’s happening in their lives. This has been a useful technique as my students feel more comfortable talking to me whilst I sit with them, than if I were to stand constantly in front of the classroom. Outside class, I will often initiate a conversation with them about a book they are reading, or chat to them in the yard. Getting to know the students in my class is always a priority, so creating those opportunities to learn more about them is an important goal for me. It allows me to connect with them and show them that I’m willing to learn about what is important to them. My other goal is to work with 2 senior English teachers to improve my teaching practice. Before this year, I have always been a junior English teacher, but I want to start teaching senior English. Whilst I have taught 2 Year 10 classes, with the changes to the VCE English and EAL study design, this has brought about a restructuring of our Year 10 English curriculum to fit in with the demands of VCE English and EAL. With the help of my mentors, I hope to improve how I teach English at the junior years, so that I can develop the necessary skills of my students that will allow them to tackle senior English. Although I have been teaching for some time, I feel that I need to work with other English teachers outside my team in order to strengthen my own capabilities. This will become part of my appraisal process, but one that I’m eager to start, as I feel it will make me more confident in teaching senior English. One of the main things I want to focus on this year is my teaching. Whilst it is a big goal, I want to ensure that I’m fully engaged in every experience. I need to be more prepared for my classes, in order to develop a positive learning environment for my students. I don’t want my focus split on a variety of responsibilities. Whilst being a leadership role is a good learning experience, I found that it divided my attention. It was difficult to put in 100% for everything I was doing, as I was also worried about what else needed to be done. This year is one where I will do what’s best for me- that is teaching my students as that’s what I love to do. I want to focus on that- my students are important to me. In Australian schools, the 1st day of the school year is usually student-free.This allows us time to hold our meetings and plan what we are going to do. In addition we have 3 other student-free days to use throughout the year. Sometimes my school uses 1 of those days at the start, to give teachers 2 days to prepare for the term. I would like to see my school use those 2 days differently. Our 1st day starts off with a keynote address by the Principal team followed by a series of meetings. Sometimes we are lucky if we get an hour or 2 to prepare for the term. If we only have 1 day, then it just adds pressure to the teachers. I often wish our staff meetings would be more interesting, rather than sitting through an entire list of important dates and events. 1. Keynote address by the Principal– focus the address with a key phrase for us to adopt for the year. All the important dates/events should just be emailed out. One of our principal team this year encouraged us to challenge ourselves this year and push ourselves out of our comfort zones. Keep it short and simple, in order to make the message more meaningful. At the end of the address, welcome new staff members. 2. Divide staff into PLTs (Professional Learning Teams) across subject areas– this will allow us to start of the year with goal-setting. I feel this will allow us to decide our focus for the year- what would we like to achieve this year. It provides us with the opportunity to support each other in our learning. At school we create our PDPs (Performance and Development Plans) with our house leader and it doesn’t get shared with other staff. By doing this in a PLT, we can support each other to achieve our goals. In these teams, we can have team building activities as well as staff sharing what they’ve done over the holidays as a way to get to know each other. 3. Short meetings- with our Domain staff as well as House staff: This could be used as an opportunity to disseminate important information. 4. Plan with our teaching teams: It is important that we get some time to plan together as a team. Since we teach in teams of 3 especially in 7-9, we need to be given time to plan activities. Often we have new staff members, or teachers we haven’t taught with before. Giving us the maximum amount of time will allow us to be better prepared for our students. Year level subject planning meetings – these should start at different times as teachers can teach multiple year levels. Subject/Domain leaders meetings- this will allow us to set our goals for the year. If you would like to re-think your school student-free days or staff meetings, check out Chris O’Neal’s “Re-thinking Staff Meetings” suggestions. Image: William Heinrich from Flickr. Image has been modified. YourEduStory: How do you spend the first two days of the school year? Change can often be a source of fear and stress for people because they don’t know what might happen. When my family moved to Australia, the change of culture, country, people and way of life affected me for many years. I found it hard to cope because I was taken out of my comfort zone and thrown into a new life. Yes I had many more opportunities here, but it was alien to what I had experienced for the first 20 years of my life. I struggled to adjust and longed to go back to the place I called home. Australia had offered me freedom as a woman to live my life, yet I wanted to go back. Why? It is because Pakistan was my home- my cousins and relatives were still there. I had grown up having them around. My memories were there. I had left my grandfather behind. It was a place I felt comfortable and secure, because I knew where I belonged. In Australia, I didn’t know who I was anymore. I just didn’t fit in. I wasn’t happy with the change. It was as if I had to start learning how to live again, just in a new country. Similarly in schools, resistance to change happens when people are taken out of their comfort zone. They are afraid of not knowing what will happen, they are afraid that all they’ve learnt will not be relevant anymore. Some of my closest friends at school are teachers who’ve taught for 15+ years. They’ve seen the changes come and go. Some have embraced technology whilst others fear it. Their reason is that when they learn how to use technology, they feel “dumb” in front of newer teachers. At the start I used to get frustrated during school PD sessions when the presenter would start their topic at a very basic level. I wanted it to be at a higher level so that I could take my learning to the next stage. However I soon realised that this was not possible as not every person in that PD session was at my level. The presenter had to start the topic at a level that most would understand. This is what we as teachers do in our classrooms. I had made the assumption that my peers would be at the same level as well and this was not the case. This was reinforced at a recent curriculum day when 3 of us were asked to juggle 3 balls each to demonstrate our ability. Standing up in front of my peers and trying to juggle was not easy. The balls dropped as soon as I threw them in the air. The other two teachers were better than me as for at least 20 seconds they managed to juggle the balls before they dropped. I was out of my comfort zone and realised that if this could apply to my students when they learnt something new, then it also applied to my peers when they were presented with new information. I’m lucky that my school leaders have recognised this (something that I need to work on as a new leader). In 2014 when we started our Blended Learning Projects, staff that were more comfortable with using technology signed up. At end of the year, the technology leaders held a Learning showcase where these staff presented their projects to other staff. It was a valuable learning experience for those presenting as well as their audience. This year, when the technology leaders began the project again, more staff signed up to participate. Many of the 2014 presenters agreed to become mentors to help the 2015 participants . Amongst the participants this year are those who are still learning how to integrate ICT within their units of work. Many were in the audience at the showcase last year and are going to have a go this year. It gave them more confidence to stand up and agree to participate this year. If they had been forced to do so, they would not have been willing to participate. As 2014 audience members they had the opportunity to see how the presenters had used technology in their own classrooms and realise that they could also try it in their classes. As a leader I need to have patience and the ability to understand why others are resistance to change. I also know that as a teacher I cater for different learning abilities in my classroom and I need to apply this to my peers as well. Allowing teachers to showcase their work will help others see what is happening and it will encourage them to try it in their own classrooms. Yes at times there will be whole school change that needs to be implemented by all, however if as leaders we realise that whilst some will implement the changes immediately, others will most likely need to see what it looks like before they can try it in their own classrooms. Talking to those educators who are resistant, can also help us as leaders understand the reason for their reluctance and help them start their journey of change at their own pace. #YourEduStory: Resistance to change is rife amongst educators, how do you combat this? I’m writing this post to you to tell you about #YourEduStory – a weekly blogging challenge that encourages educators to share their teaching stories. The challenge is managed by Jo-Ann Fox (@AppEducationFox) and educators from around the world submit topics for the weekly challenge as well as participating in it. Participants share their reflections via the hashtag #YourEduStory on Twitter. I decided to write to you because I want to know more about your story. I see you do amazing work at our school and would like to know more about your journey as our technology leader. You became our tech leader whilst I have been at the school and you have worked tirelessly to implement our 1:1 laptop program and integrate technology within our classrooms. You are an inspiration to me. You have had to create this entire program and implement it, despite all the obstacles thrown in your way. It hasn’t been an easy process especially with those who resist change. For others however, like me, it has given us the opportunity to make learning more engaging for our students. You also supported me whilst I was a domain tech leader who didn’t know much about being a leader or how to effectively use technology. However, thanks to your encouragement, I have grown more confident in my abilities. 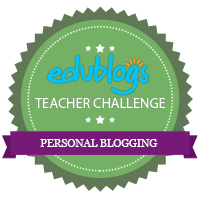 This blogging challenge has helped me reflect on what I do in my classroom and at school. It makes me think about my actions and helps me develop my voice. It is a good way of articulating ideas that are swirling around my head and gives them an outlet. At times I struggle to write a post on a particular topic because I feel as if I don’t have enough information or thoughts about it. On these occasions I read other educators’ posts in order to read their opinions on it. By reading others’ posts, it allows me to continue my learning. It’s an interesting way to learn about other educators’ teaching journeys and about how they reflect on their experiences. I know that it is hard to find time to always write on a weekly basis and this term I have struggled a lot with it. However that’s okay and you can always come back to the topics at a later stage. It’s a good way to reflect on your teaching, learning and leadership journey so far. I hope you will consider sharing #YourEduStory. Hope you have a good holidays.